SKU: PD-THHAM-1-1. Categories: As Seen In Vikings, Pendants, Sacred Totems. 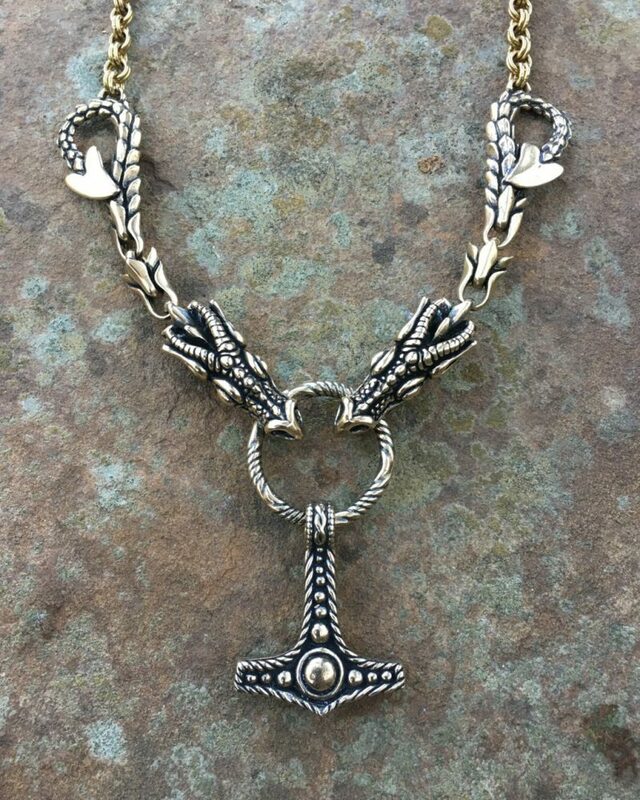 Show your Norse pride with a Thor’s Hammer flanked by a pair of ferocious dragons! 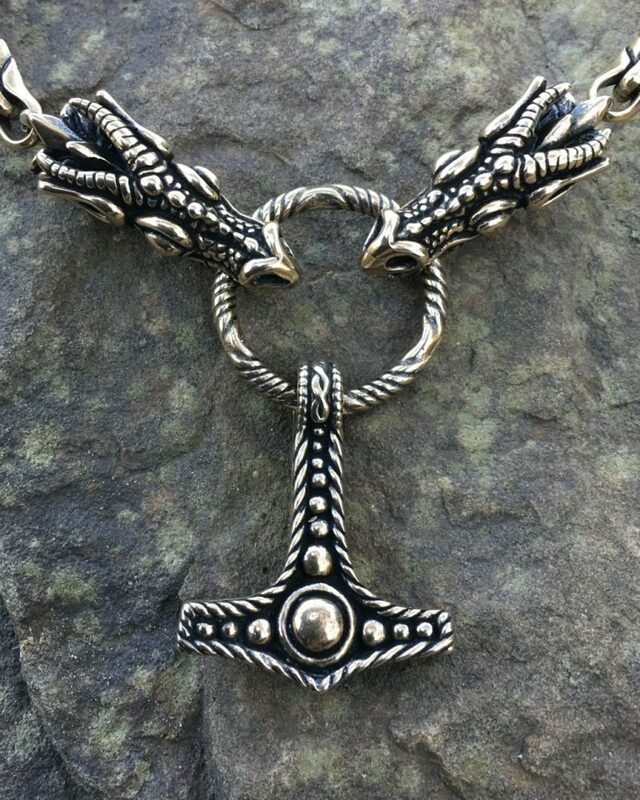 Our Thor’s hammer is suspend from a hand forged yoke held fast by two serpentine dragons, attached to a chain. The entire necklace is about 26″ (66 cm) long (there is no clasp). It is available in both bronze and silver (although in silver we use a different style chain – we will have a picture up soon). The hammer itself is approximately 1.5” by 1.75” (38 x 44 mm). 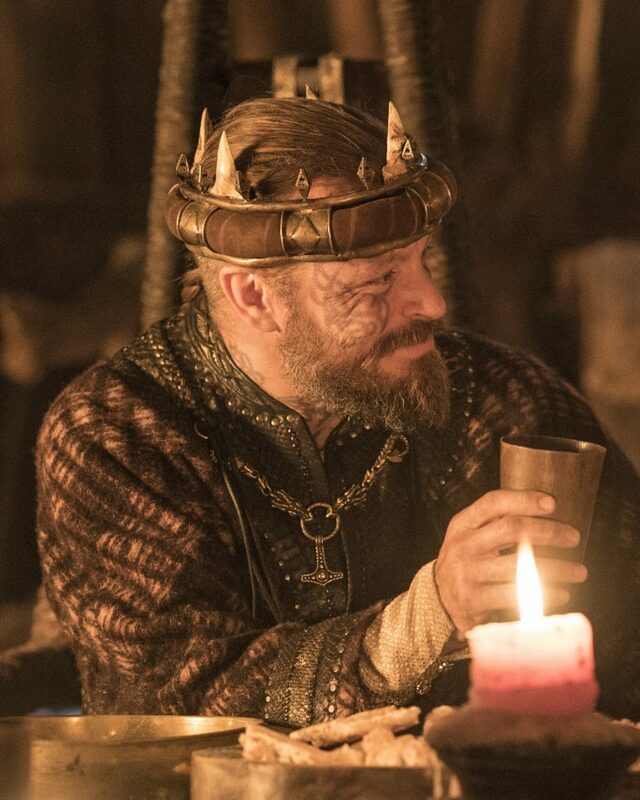 Hammers and other amulets were often attached to chains by means of a ring or forged yoke, which was bitten by animal head at either end of a chain.